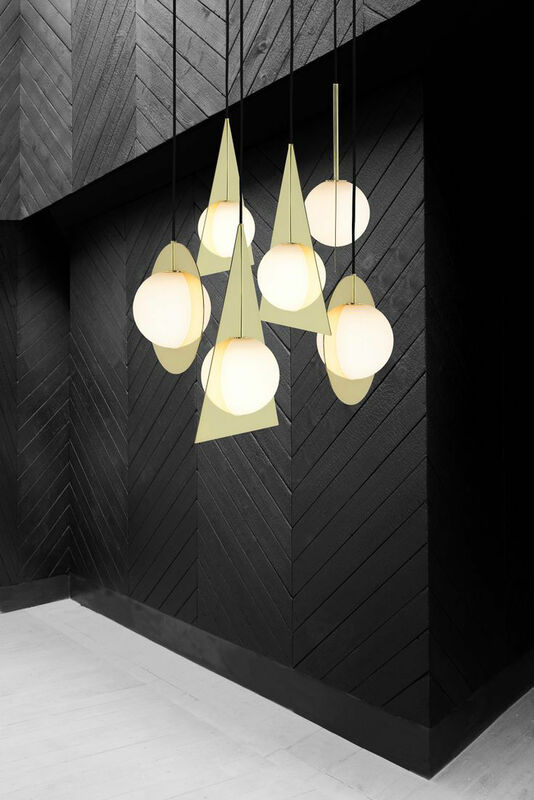 An exercise in expressive minimalism. 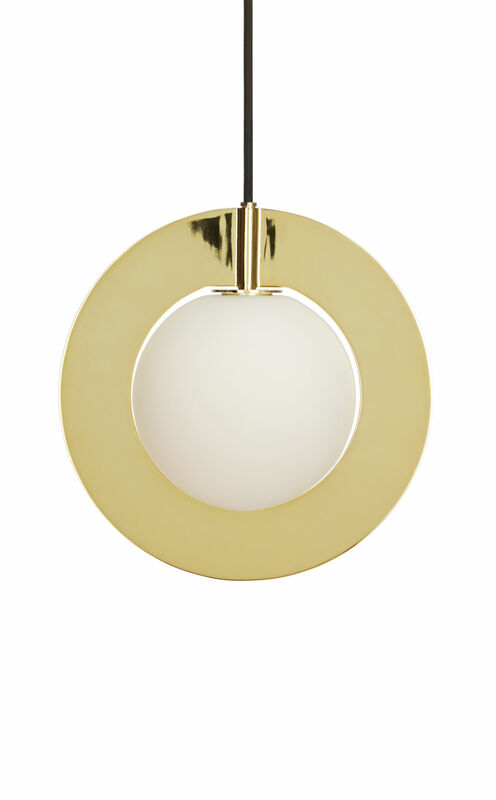 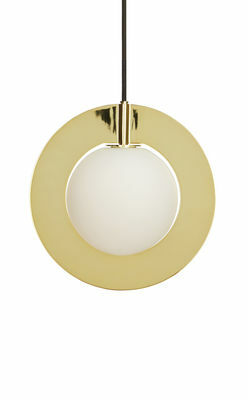 A series of basic silhouettes made from a brass?plated steel frame and a double layered white glass sphere. 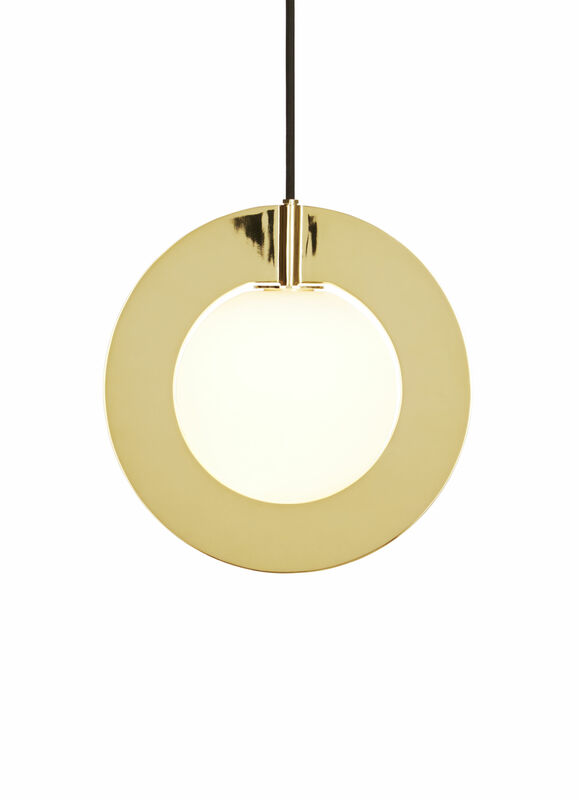 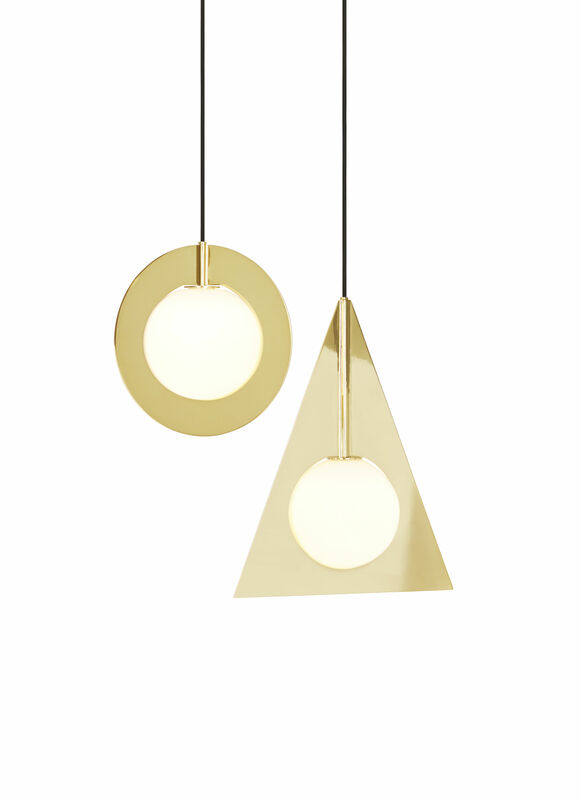 Available in round and triangle pendants and as a round table light.